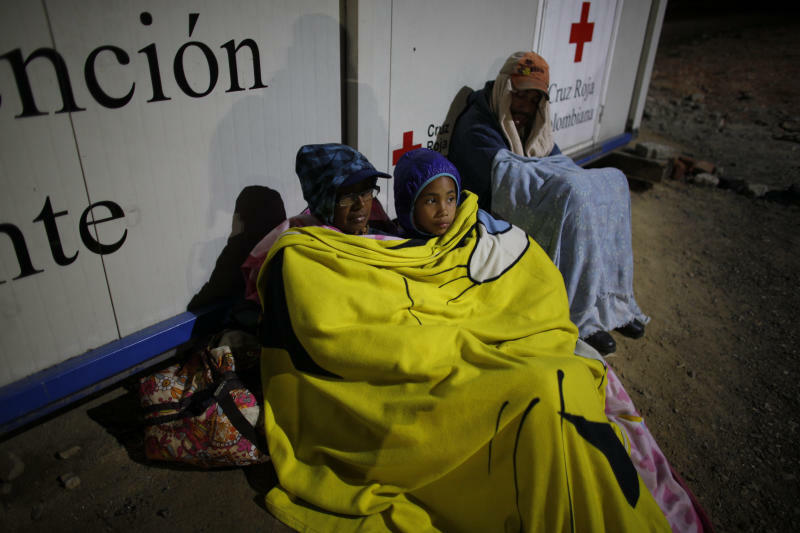 PAMPLONA, Colombia (AP) — As night approached, Sandra Cadiz wrapped her shivering daughter in a blanket and prayed for a ride up the frigid Colombian mountaintop known as "the icebox." Ten-year-old Angelis already had on nearly all of the clothes she'd brought for the 2,700-mile trek through four countries — two pairs of leggings, several T-shirts and a light jacket. They did little to shield the girl's thin frame from a biting wind. "They can't withstand a trip that hard, because the journey is very long," he said. "They don't eat and they die." "You poor thing," Cadiz remembers her saying before departing. "Keep believing in your chavismo." "Go or your child will die," Cadiz told her son. In the meantime, customers no longer had cash to spend at Cadiz's store, and she struggled to feed Angelis, who a doctor said was at least 10 pounds underweight. She wrote repeatedly to government ministers begging for help as a single mother, starting her letters with, "A revolutionary hello!" She got no response. "Let's go, mama," Angelis told her. "I'll walk in my broken shoes." Some 142 Venezuelans have been reported missing in Colombia so far this year — up from 85 in all of 2017, according to Colombia's forensic services office. Facebook groups are filled with posts from Venezuelans looking for friends and family members who took off walking and haven't been seen again. "I have no other choice but to look here for help," a woman wrote recently, sharing a photo of a young man who crossed illegally and hadn't been heard from again. "His relatives are in complete despair not knowing what happened." "They die and we don't know who they are," Valdes said. "They don't stop," Angelis sighed. "We couldn't withstand the cold," he said. "But the girl and the woman?" her friend asked. "I don't want to walk anymore!" she cried out. Back on the road early the next morning, Cadiz quickly lost her orientation. She knew only what her son had told her: Take the Ruta del Sol — the Sun Route — through Cali to Ecuador. She approached an elderly man and asked, "Which way to Cali? ", eliciting a confused response. Her question was the equivalent of standing on a New York street and asking, "Which way to Cleveland?" "Blessed driver, please help us with a ride," Cadiz wrote in magic marker, misspelling the word "blessed." "Don't you want to get home?" her mother asked, urging her to get up from the curb. "What home?" she shot back angrily. 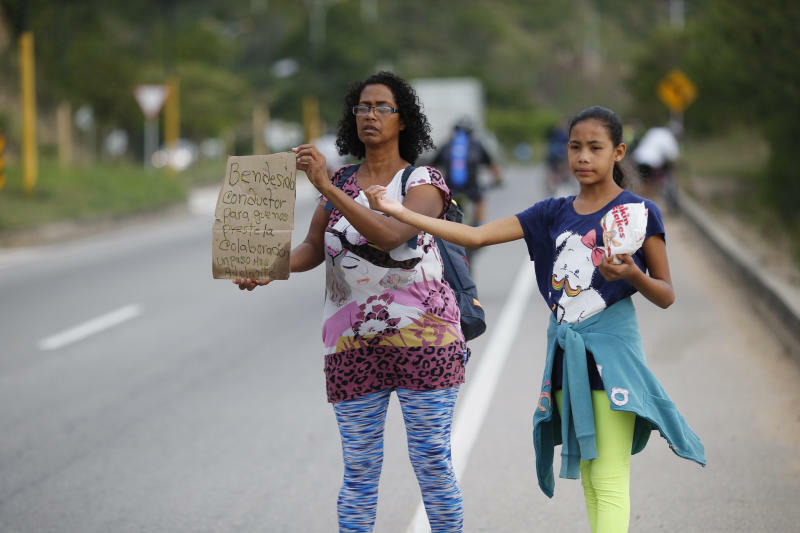 "I hope you never vote for Maduro again," he told them. They walked and hitched more rides, but the progress was agonizingly slow. By the next evening, they were barely a quarter of the way through Colombia to Ecuador, the next country on their route. 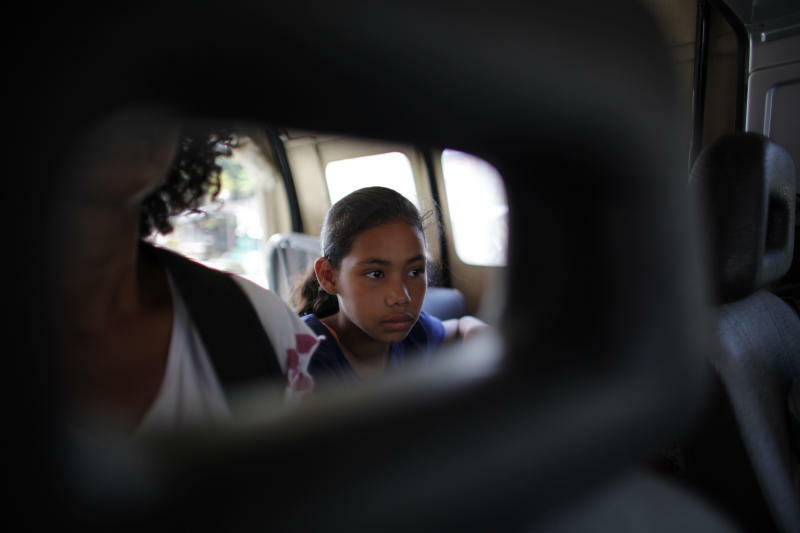 As the sun began to set in a place known only as "Kilometer 17," Angelis and her mom bickered. "Which is the Sun Route?" the girl asked. "Oh, Angelis," Cadiz said, flustered. "I don't know!" "We're trapped," Cadiz told her son in a WhatsApp voice message. But she had no cell signal, so the cry for help didn't go through. "Cali! Cali terminal!" the driver cried out, trying to rustle them awake. When they emerged several minutes later, their worn bags were the last ones waiting on the sidewalk. Cadiz's relief was visible as she and her daughter posed for photos below a "Thanks for Visiting Ecuador" sign. But minutes later they realized that amid the frenzy of crossing, they'd lost Angelis' national ID card. "There are people who have been waiting for six days!" cried a man who said he'd spent 18 days walking to Ecuador. "There are also people who should be given a priority," a man carrying a clipboard quipped back. "First time you're in Peru?" a migration officer asked Cadiz. "Calm down," the agent told her coldly. "Don't smile." "I arrived by a miracle," Cadiz said.